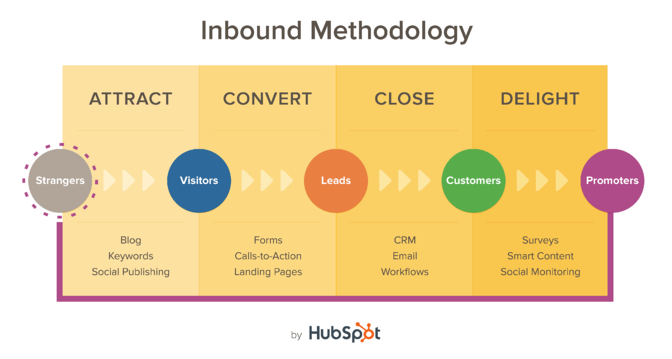 This Inbound Plan will help you reach your business goals with HubSpot. *Please note: HubSpot's Basic product does not include the following tools: Workflows, Events and Smart Content. To get Signals, go to www.getsignals.com/. Important update: Please note this page has been updated to reflect the campaign approach to inbound marketing. This page will guide you through each step of building and executing a successful inbound campaign. If you are looking for the previous version, you may temporarily download it here. Begin by completing the items under "Your Inbound Marketing Foundation". From there, you can click into each section of "Inbound Marketing Campaigns" to create, promote and analyze a complete inbound campaign. Once you have finished your campaign, begin planning your next campaign and check-out some tips for targeting the areas of your marketing in need of the most attention. Have feedback about this page? Love it? Have ideas to improve it? Let us know! Complete the following steps to build your foundation for inbound marketing. These are steps you may do again from time to time as you achieve your goals and need to build more content. SMART goals allow you to track how your marketing efforts are helping you see success. Add your SMART goals into HubSpot. Save important resources, from this training, for easy accessibility - we recommend bookmarking them. Identify who your ideal buyers are so you can tailor your marketing content and your sales approach to their needs and challenges. Compile any insights from conversations and interactions with your customers, prospects and co-workers to determine how many personas your company has. Complete a Buyer Persona Development Worksheet for each one. Take advantage of content you already have and find opportunities for new content that will appeal to your buyer personas. Compelling content is key to moving visitors through the buyer’s journey. Inbound campaigns should be created on a recurring basis. Decide whether you would like to build monthly, bi-monthly or quarterly campaigns. Start by naming your campaign, e.g. “Lead Generation for Small Business Owners – Jan 14”. Then, complete the following steps for each campaign you create. Watch the Campaigns Training Video to prepare for your first campaign. Creating a content offer and the supporting pages to help deliver your offer to your site visitors and contacts is the first step to a successful campaign. The topic you choose for your content offer will be the topic that runs through all the other assets for this campaign. Create a content offer that one of your personas would find valuable and helpful. Providing this content is the one of the best ways to generate new contacts and be seen as a resource. Use a template from the Marketing Library to complete your offer. Landing pages are designed to generate leads - visitors will provide their contact information in exchange for valuable content or offers. Include a form on your landing page - Watch the Forms Training to learn how. A thank you page is what a contact sees after completing a form on a landing page. This is where you provide next steps and a link to the promised content offer. A call-to-action is what someone clicks on to get to a landing page. This promotes the offer and should be added to relevant blog posts and website pages. Add this call-to-action to your website and relevant blog articles. Now that you have your offer and landing page built, let's get some traffic to it. In the context of a campaign, email is a great way to promote your content offers to existing contacts who would be interested. Send this to a list of contacts that would be interested in this content offer. Tag your email with this campaign. Promote your offer on social media by sharing your landing page and blog posts to your social media channels. Schedule any additional posts to help promote your content offer. Tag your posts with this campaign. Identify long-tail keyword phrases your personas would search related to your content offer. Base the blog content you create for this campaign around these keywords. Group them into your campaign. Write weekly blog articles that are relevant to your content offer. Blogging will attract people organically to your website so they can find the call-to-action for your content offer. Include the call-to-action for your content offer at the bottom of the post. Once your campaign is live, use the reports to track progress - see what’s working and where there is room for improvement. Look at the Campaigns App to see how your campaign is performing. Review the Sources report to see how this campaign has helped you move closer to your overall marketing goals. You've completed your inbound campaign! In addition to running your next campaign, round out your inbound strategy and enrich your ability to use HubSpot to reach your business goals - supplement your campaigns with targeted actions based on the areas that need it most. Brainstorm other important keywords you want to get found by. These should be keywords that relate to the problems and solutions your personas are searching on. Take a look at, How to Do Keyword Research. Schedule posts to go out through the social media tool. Remember to promote your new blog posts and share topically relevant links that have been posted on other credible websites. Optimize your website pages, aiming for 5-10 pages each week, starting with the most visited. - Watch the Page Performance Video to find opportunities to improve your pages. The number of fields on your landing page forms should be directly related to the perceived value by the visitor. Create forms that ask relevant questions and are an appropriate length for the stage of the buyer's journey the offer represents. Continuity is important when it comes to copy for your conversion path. Check to make sure the messaging and value are clear and consistent between the call-to-action, the landing page and the offer. Revisit your content map. Work to provide conversion oppotunities for each persona at all stages of the buyers journey. Use smart lists to segment your contacts based on their behavior and the details you are gathering about them through forms. Create lists for each persona by lifecycle stage to keep track of where your contacts are in the buyer's journey. When sending out email communications to your contacts, try splitting them out by persona and/or lifecycle stages so you can customize the messaging based on where they are in their buyer's journey. Provide calls-to-action and content that is relevant based on who they are and what you think their logical next step should be. Use social inbox to set up streams to find people who are searching for a problem you help them solve or the solution you provide. You can also setup streams to track the segmented lists you created above. Engage with these warm prospects on social media. After you complete your first campaign, rinse and repeat as often as possible to keep driving results. Try to get on a schedule of monthly, bi-monthly or quarterly campaigns. Some of your campaigns may even overlap! Feel free re-attend or re-watch any training class as many times as you'd like! You can stay for the whole class or just join at the end for the workshop. 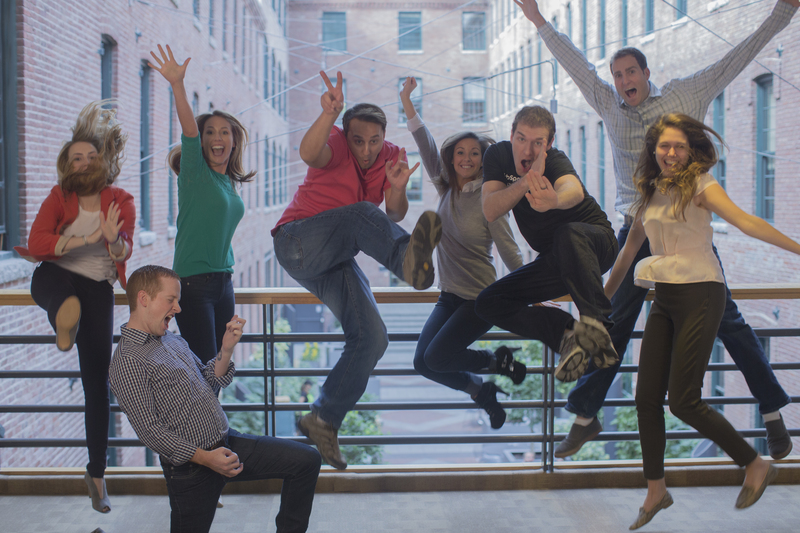 And now that you've learned all the fundamentals - get HubSpot Certified!